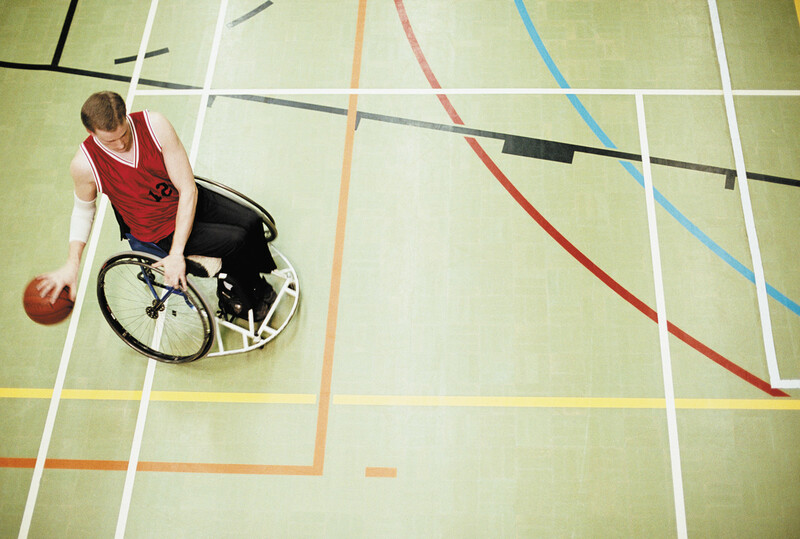 Experts at Upstate, SUNY Cortland, and Syracuse University are helping schools and community groups provide children with disabilities with physical education activities that foster inclusion with typically developing peers. An upcoming conference called “New Paradigms for Assistive Technology, Fitness, and Disability” will help launch a “Fit-In” initiative in Central New York. It is sponsored by SUNY Upstate, SUNY Cortland, and Syracuse University and organized by Dr. Nienke Dosa, MD, who is a senior fellow at Syracuse University’s Burton Blatt Institute and the first professor of Child Health Policy at Upstate. Individual schools may not have enough students to field wheelchair sports teams, “but regionally, it can be done,” Dosa says, pointing to the sled hockey team in Oswego, the power wheelchair soccer team, Central New York United Power Soccer and her own work with Lisa Neville, an occupational therapist at Jowonio Preschool, to launch an adaptive ballet for children with cerebral palsy. The conference — held 9 a.m. to 5:30 p.m. Friday, Oct. 11 — will be part academic and part coalition-building, Dosa says. The event is free and open to the public. To register call Regina McConnell at 315-464-7561. It begins at 9 a.m. in room 2232 of Weiskotten Hall, 766 Irving Ave. An afternoon workshop will take place in the Institute for Human Performance. The keynote speaker is James Rimmer, PhD, who directs the National Center on Health, Physical Activity and Disability. Tech students from Syracuse’s Nottingham High School will attend the conference and participate in the workshop to learn how to adapt toys for students with disabilities. This entry was posted in community, physical therapy/rehabilitation, Upstate Golisano Children's Hospital/pediatrics and tagged academic medical center, adaptive phys ed, adaptive physical fitness, Golisano Children's, Golisano hospital, Golisano pediatrics, health care blog, health care social media, hospital blog, hospital social media, medical blog, SUNY, syracuse health care, syracuse hospital, university hospital, upstate medical, upstate university. Bookmark the permalink.